Get a Yuba County Traffic Ticket? You Can Beat It! Did You Get a Ticket in Yuba County, California? You can fight Yuba traffic tickets by getting them dismissed much easier than you may think. In Yuba, California, drivers are allowed to contest a traffic ticket using a Trial by Written Declaration. This is best way to fight a traffic ticket without going to an Yuba courthouse or hiring an expensive Yuba traffic ticket lawyer. We have found this to be the best way to contest a California traffic ticket, period. This option is available to every driver who receives a traffic ticket in Yuba, California. In fact, if you turn over your traffic ticket you will see that a Trial by Written Declaration is listed right on the back of your ticket as one way to fight it. This process has been around since 1978 to avoid having to pay traffic ticket fines. TicketBust has been helping California drivers prepare Trial by Written Declaration’s for over 14 years. In fact, tens of thousands of vehicle tickets in California have been contested using our system. We are the original traffic ticket fighter and the TicketBust system has been developed specifically to prepare all your documents properly based on how you answer a few questions. This way you can fight your ticket, knowing you have maximized your chances of having the court dismiss your Yuba County traffic ticket. TicketBust service will prepare your full defense package for you, which includes your Trial by Written Declaration and all the defense documents required by Yuba traffic court. Fill out the yellow form to fight your Yuba traffic ticket now! Did you know that you aren’t allowed to pass the white limit line when you are stopped at an intersection? From our experience, this can be a common ticket issued in the county of Yuba, so be on the lookout and stay behind that solid white line. If you find yourself having received a traffic ticket in Yuba, give us a call or fill out our form to see how we can help! Some say that the name “Yuba” comes from a confusion of the Spanish word “uba” meaning “grapes” for the wild grapes said to grow along the banks of the Feather River, yet some believe the name comes from the tribal name of Maidu Indians who once resided in the area. 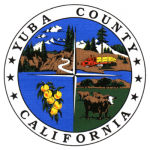 In any case, Yuba County was one of the original counties of California, formed in 1850 when California gained statehood. Portions of the county were allocated to Placer and Nevada Counties in 1851 and Sierra County in 1852. Yuba County is the fifth-smallest county in California with a mere 644 square miles of total area. It lies along the western slope of the Sierra Nevadas and borders Butte and Sutter Counties to the West, Plumas to the north, Sierra and Nevada counties on the east, and Placer county to the south. Yuba County is home to 77,000 residents and is specialized in Agriculture, Forestry, Fishing and Hunting industries. Studies suggest that Yuba is the most biodiverse county in the contiguous United States, with 1,968 native plant species per 10,000 square kilometers. Visitors can check out the wildlife in the area through the national protected areas within Yuba County including portions of the Plumas National Forest and Tahoe National Forest. Popular recreational activities in the area include hiking, biking, boating, and fishing.